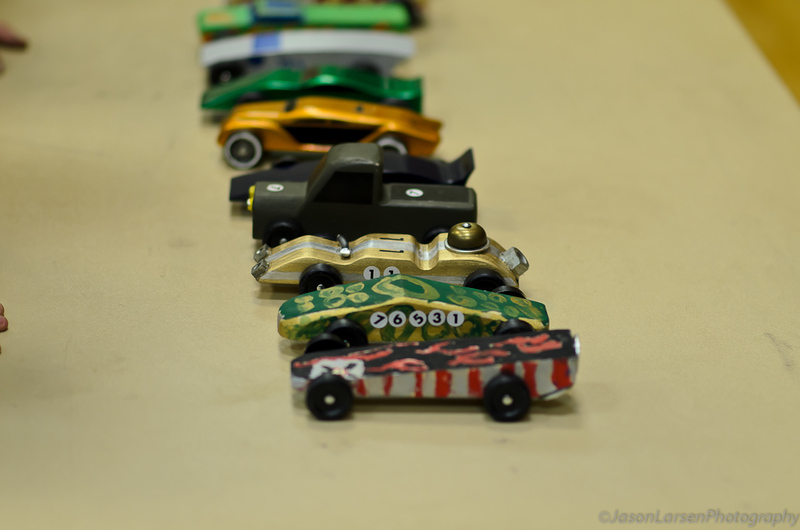 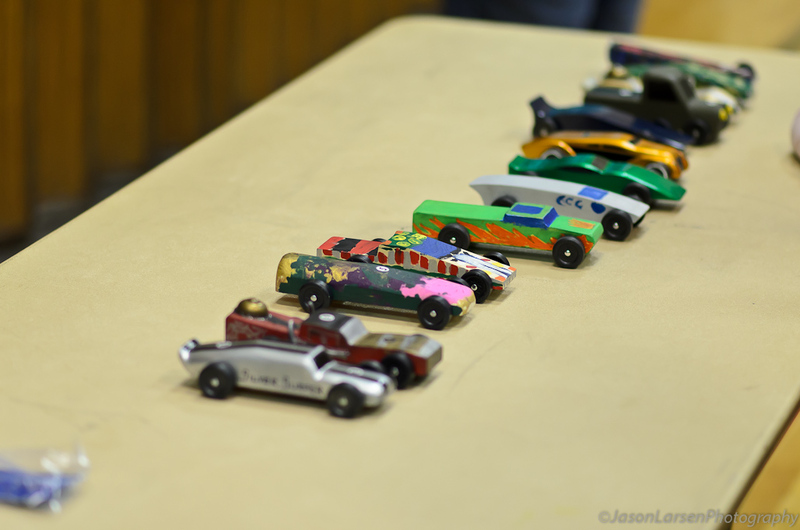 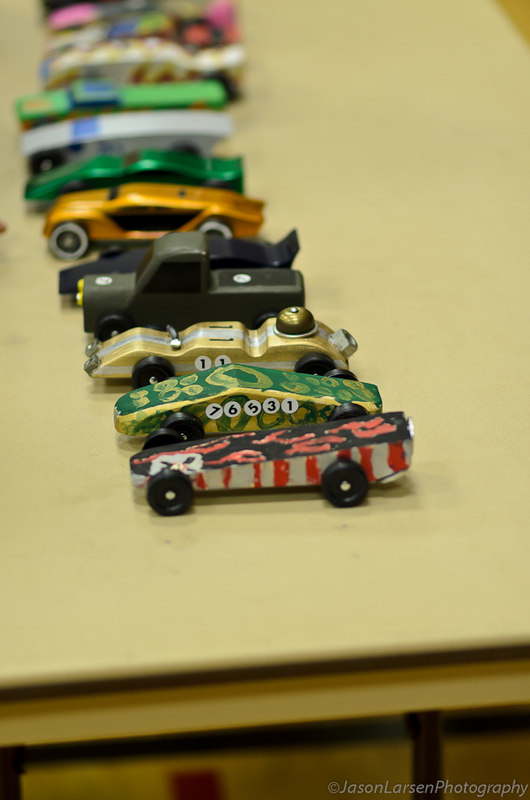 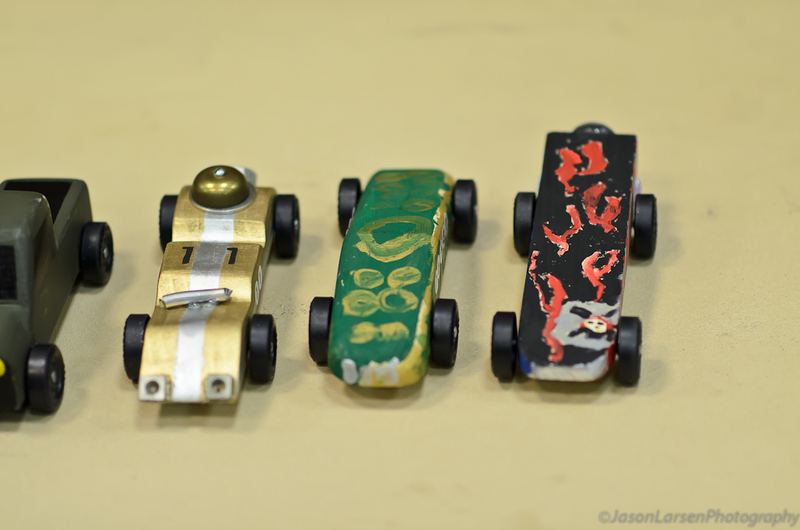 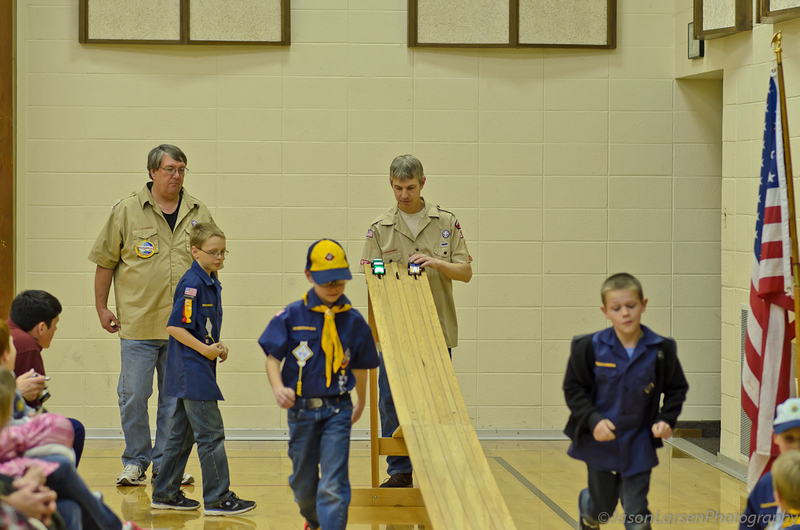 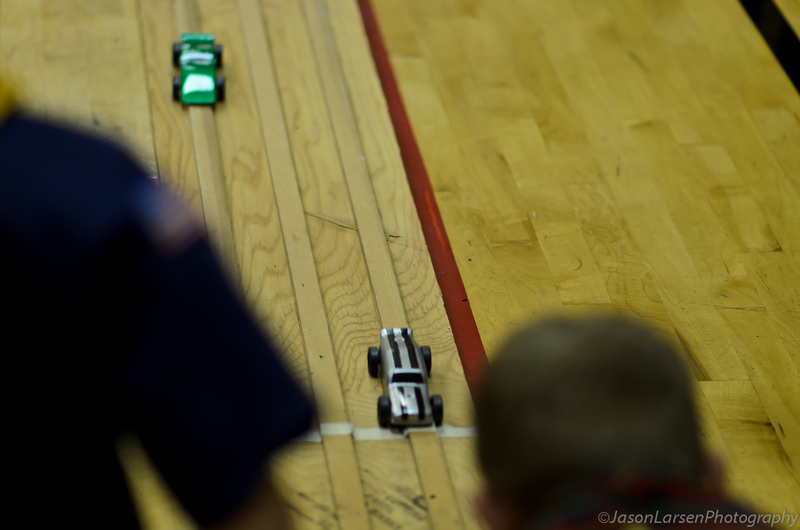 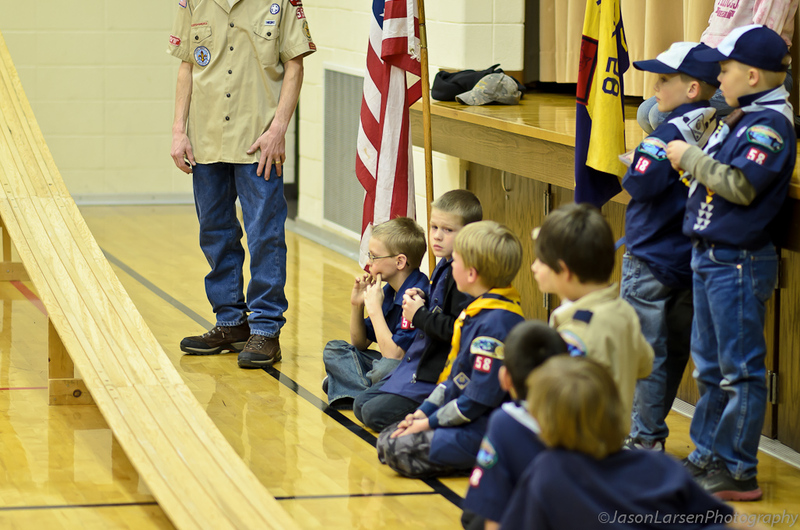 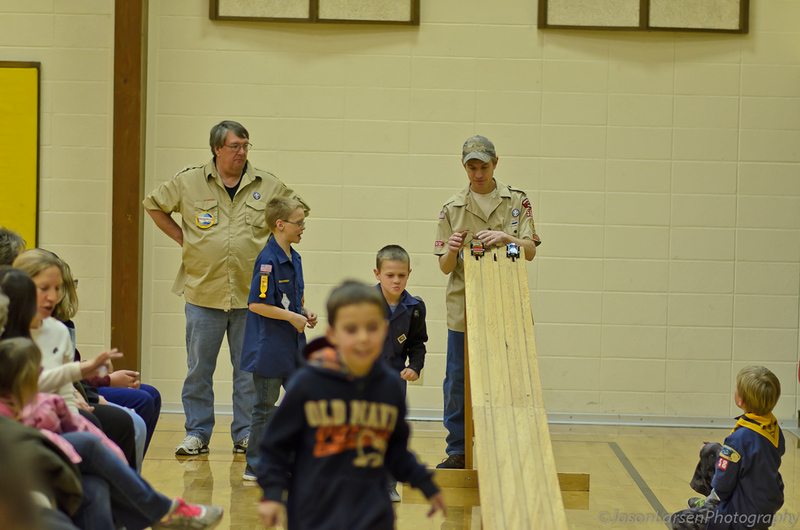 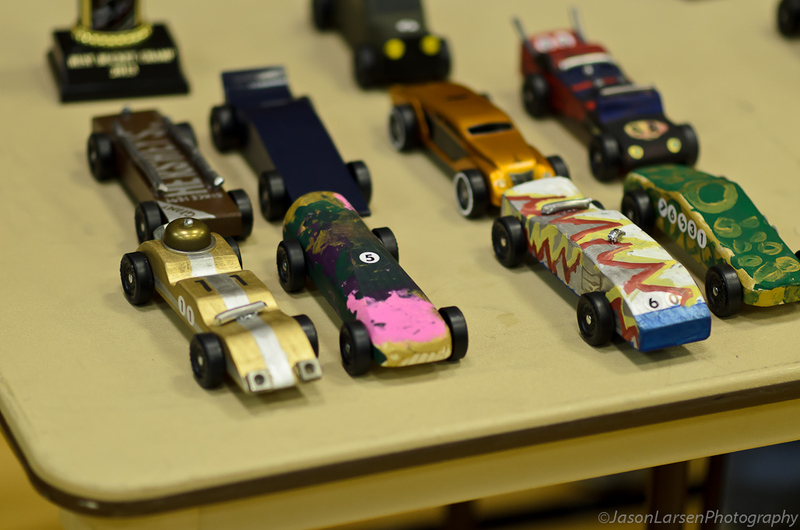 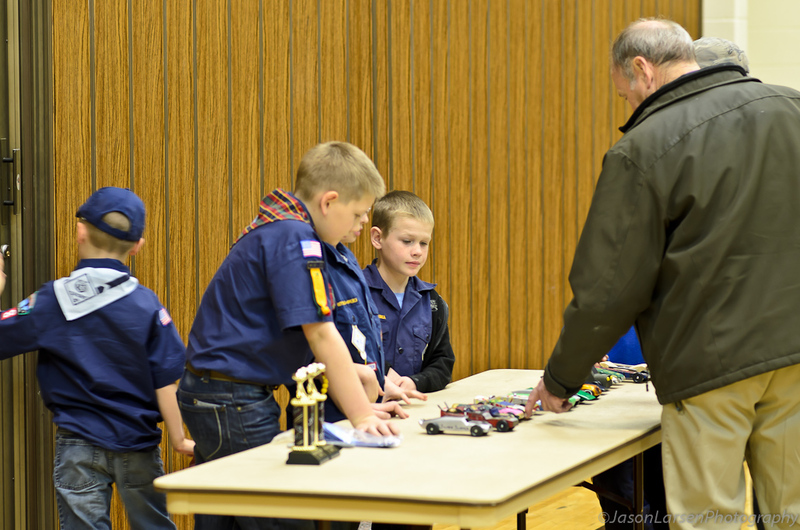 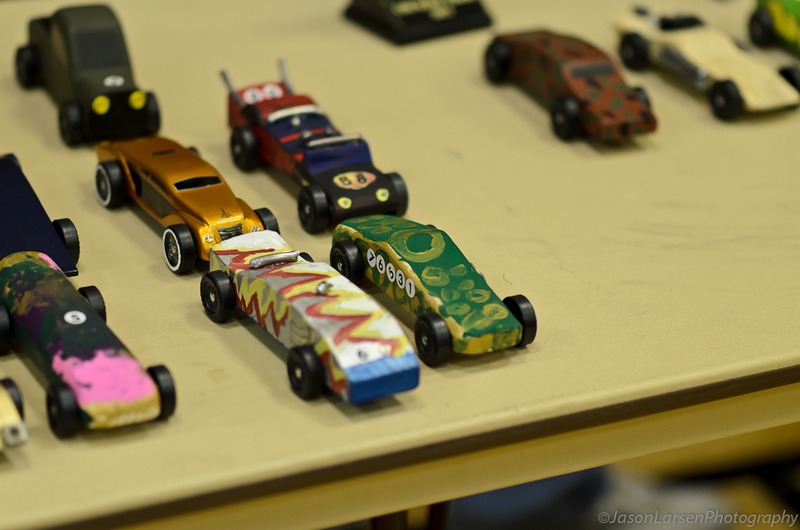 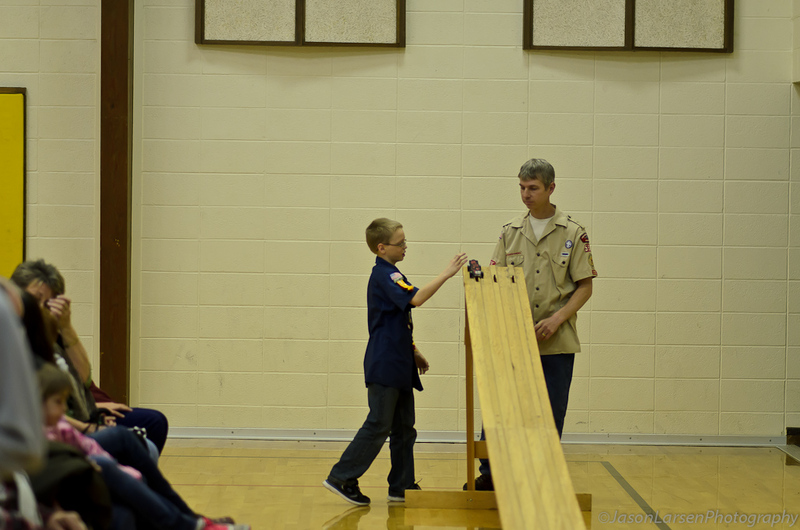 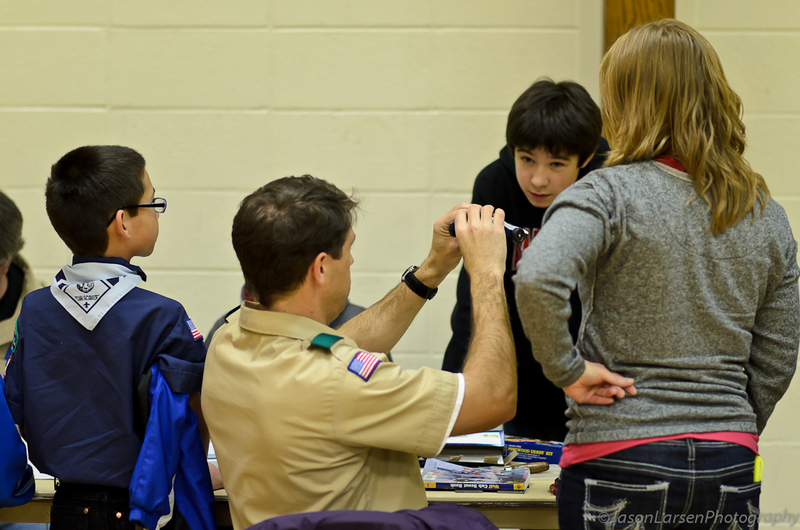 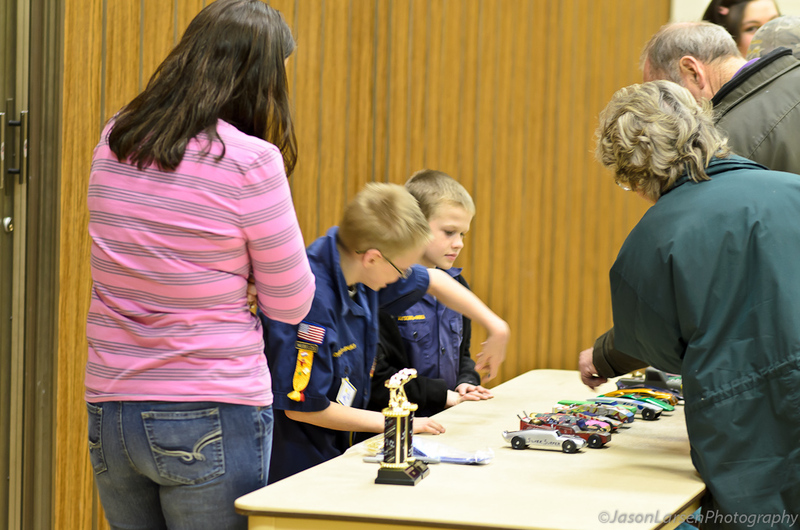 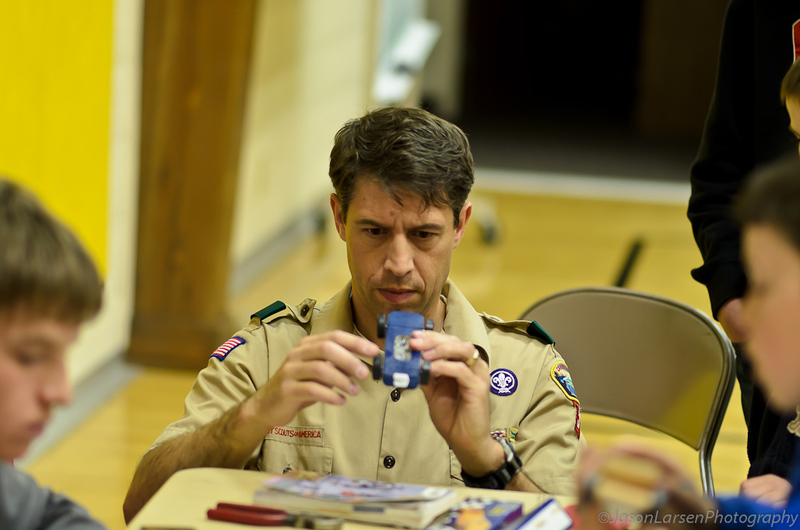 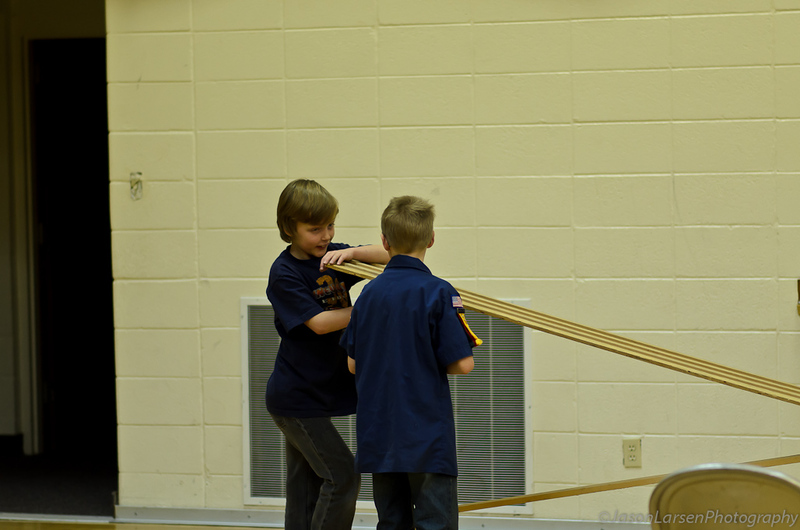 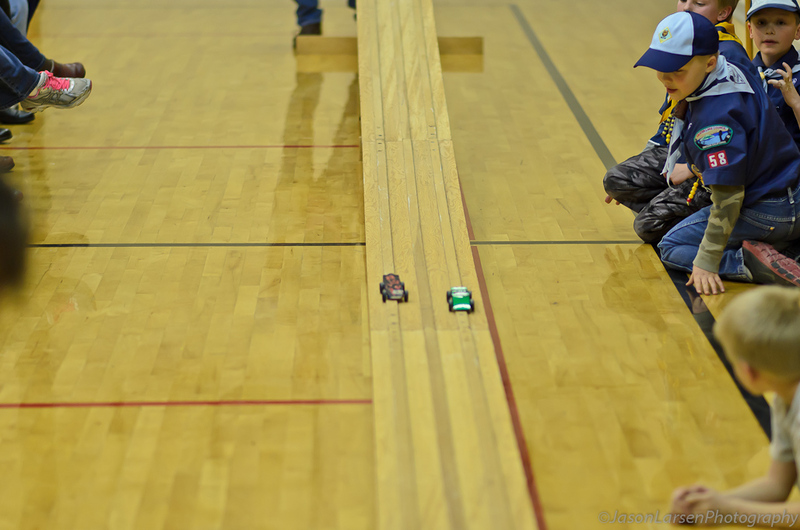 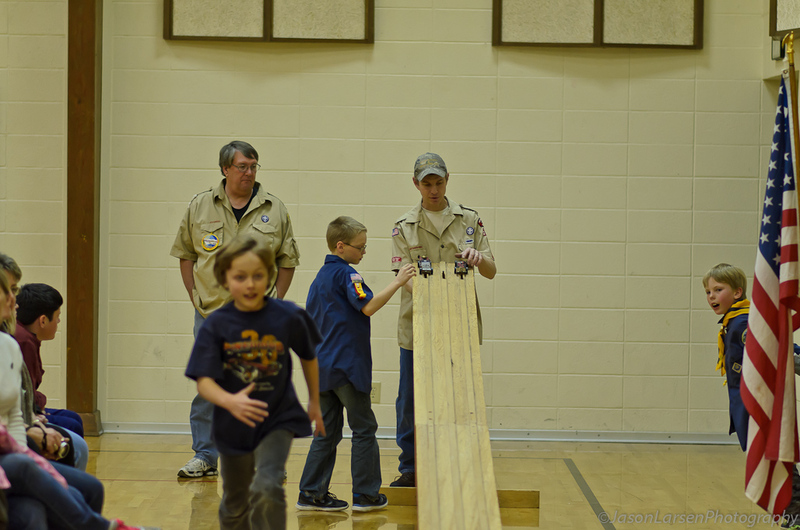 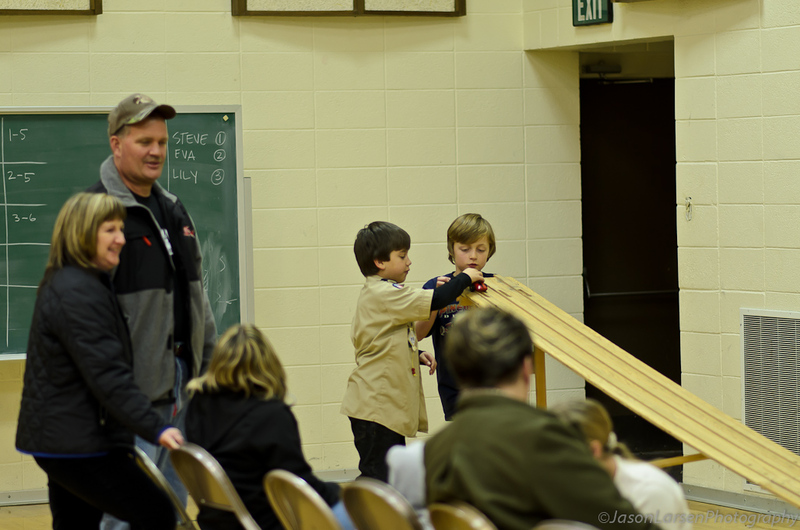 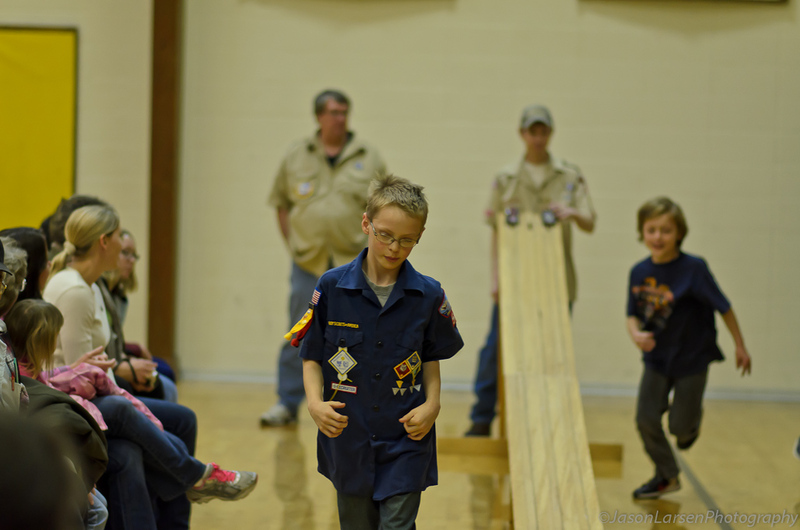 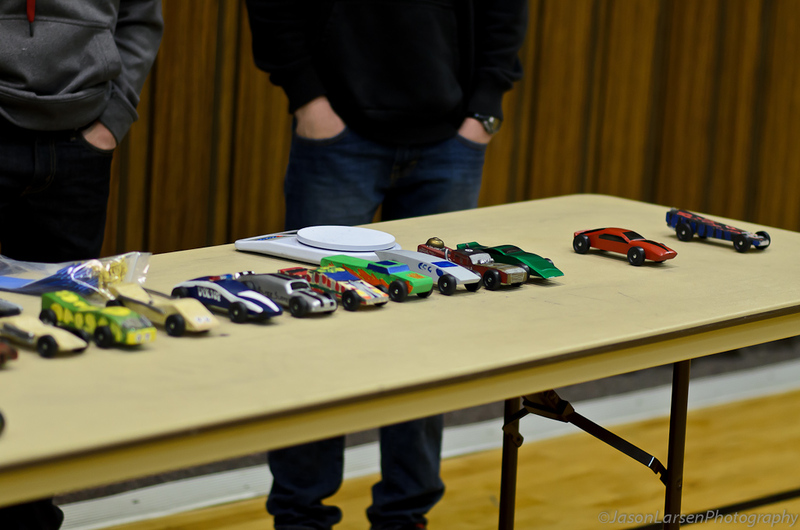 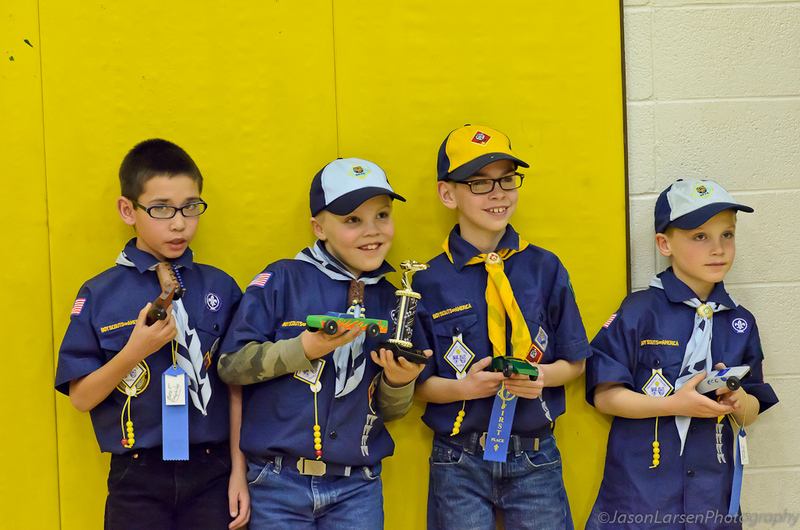 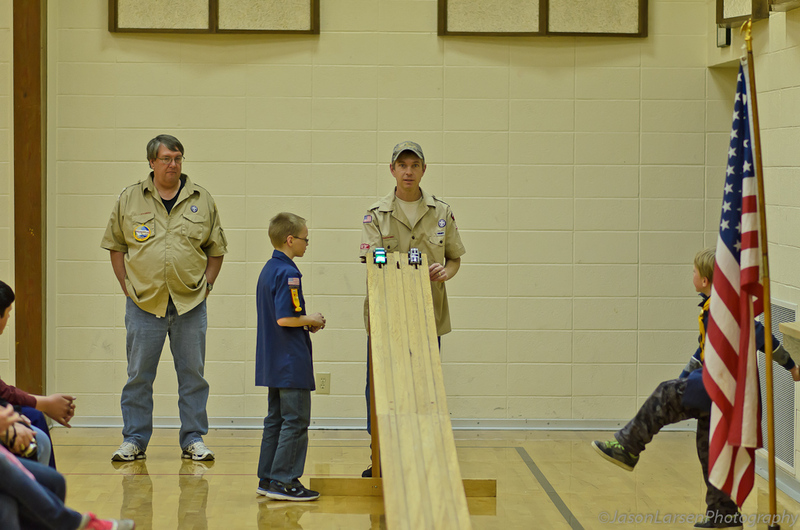 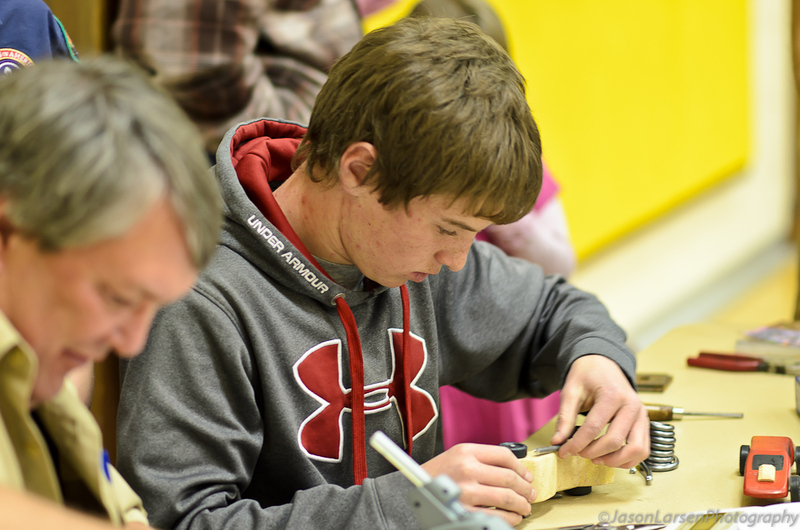 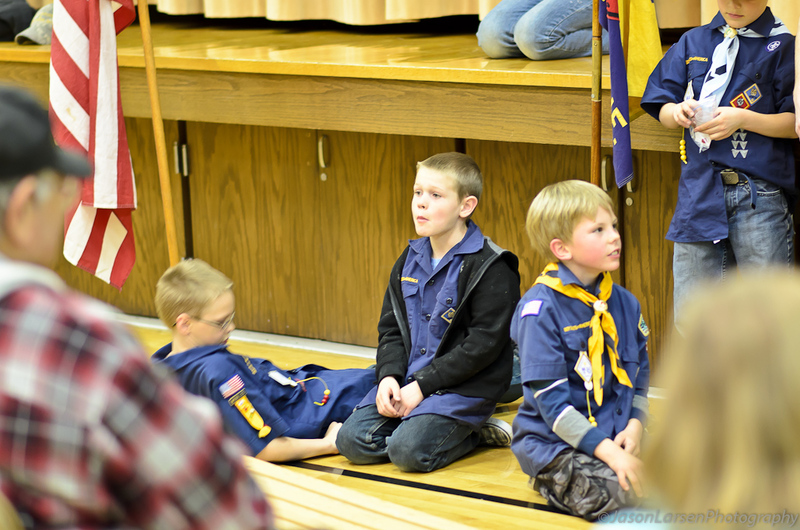 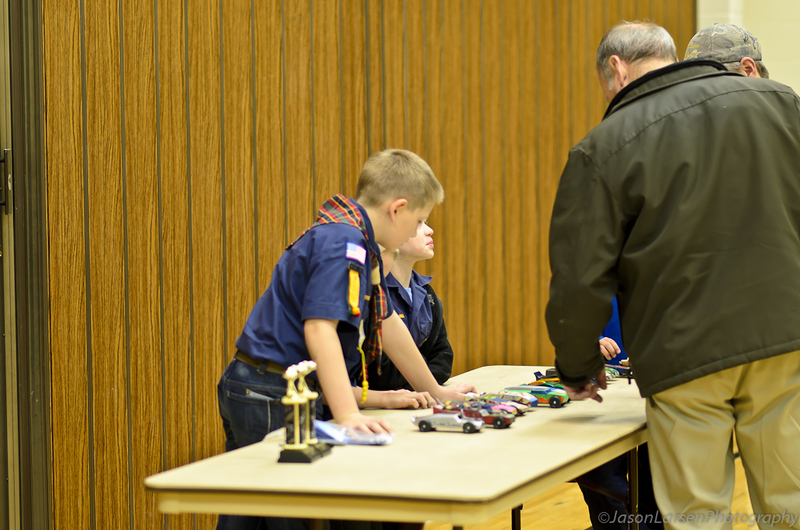 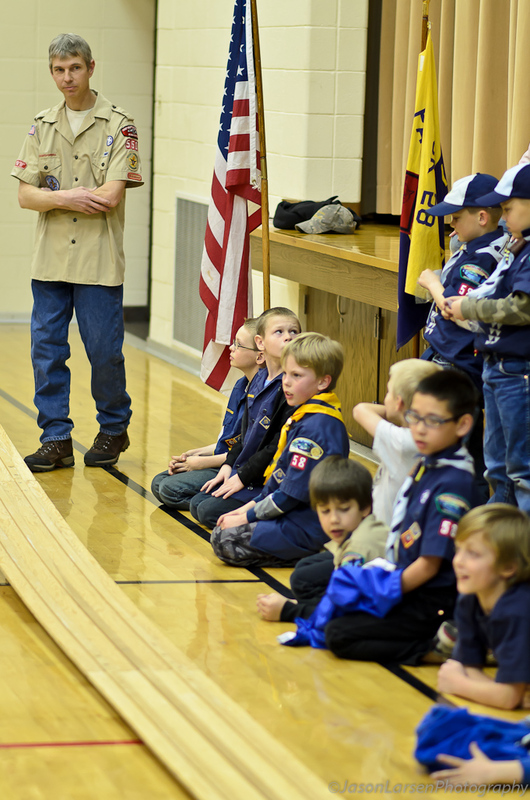 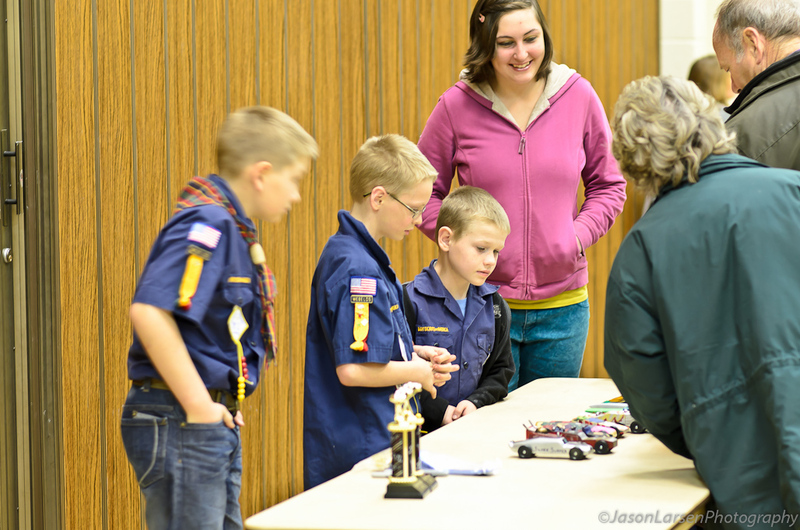 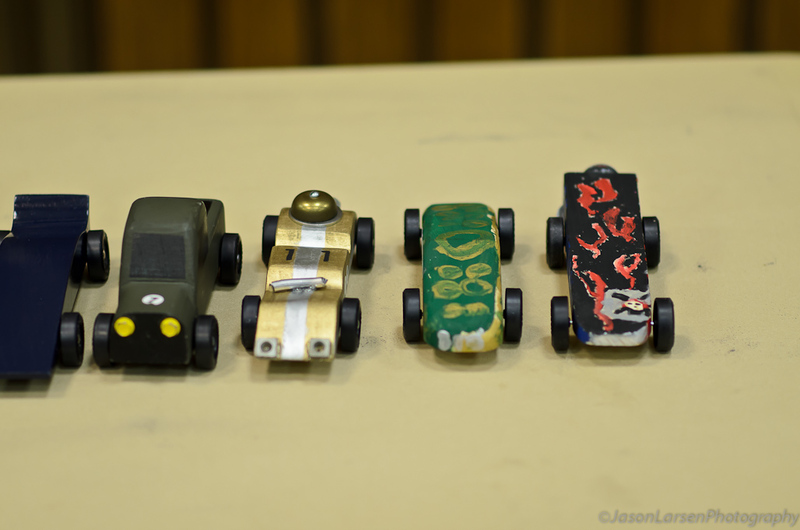 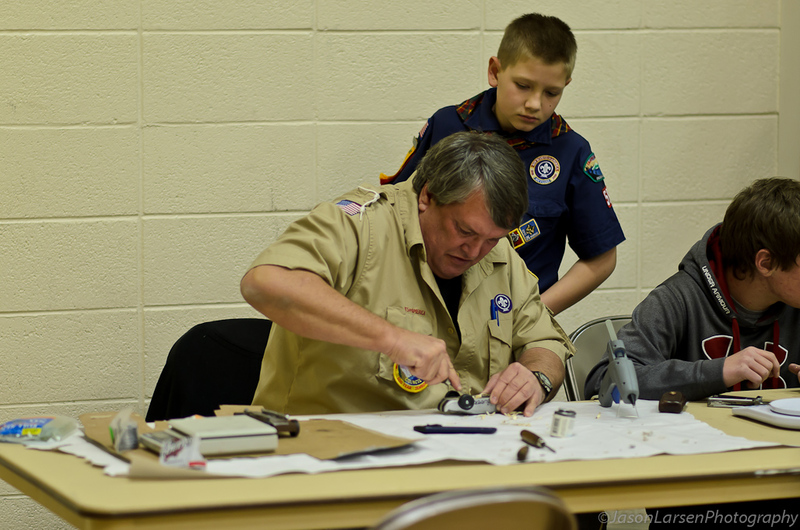 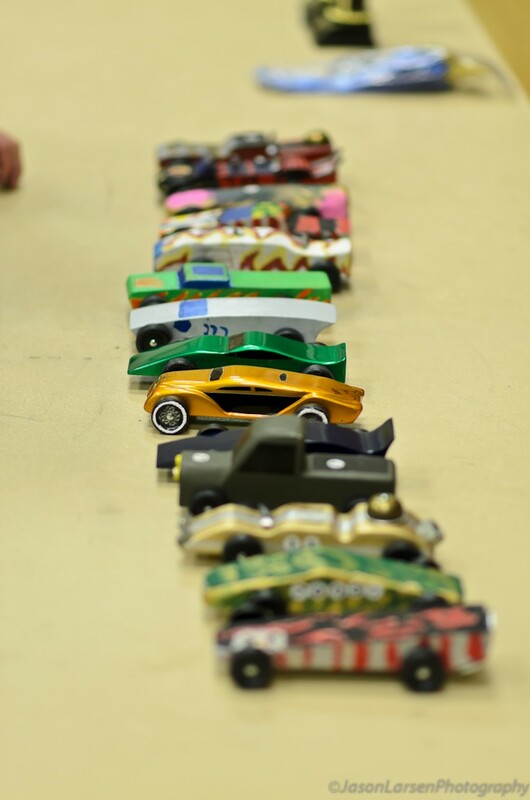 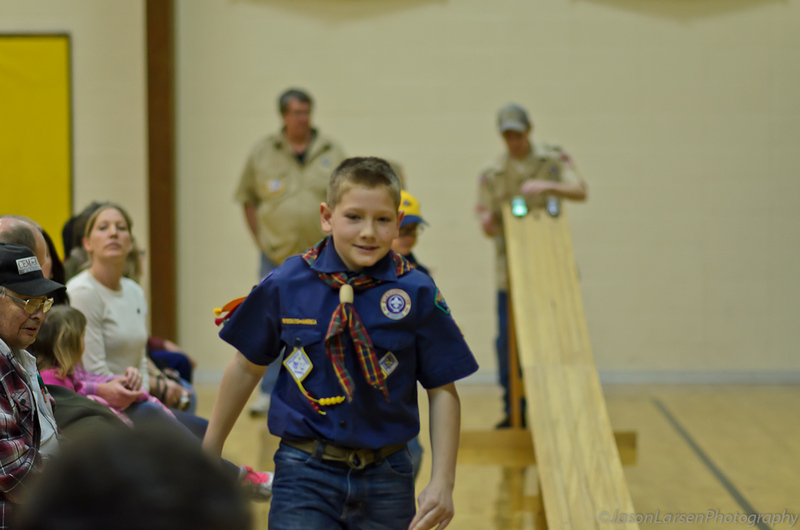 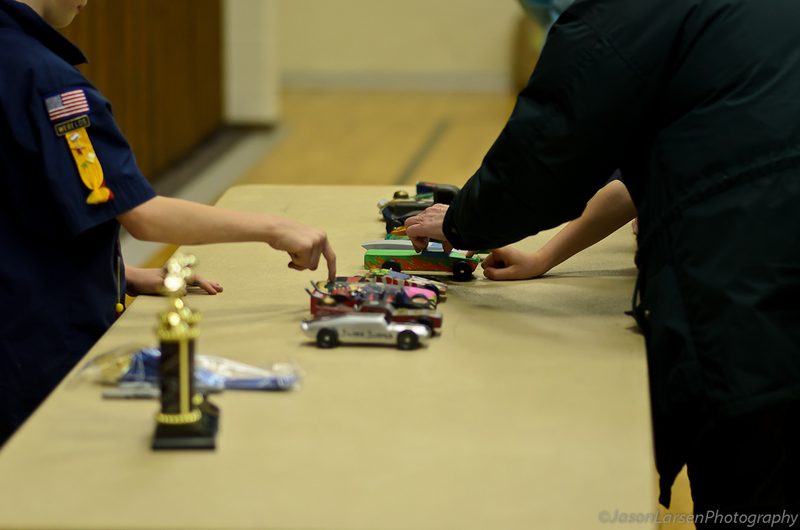 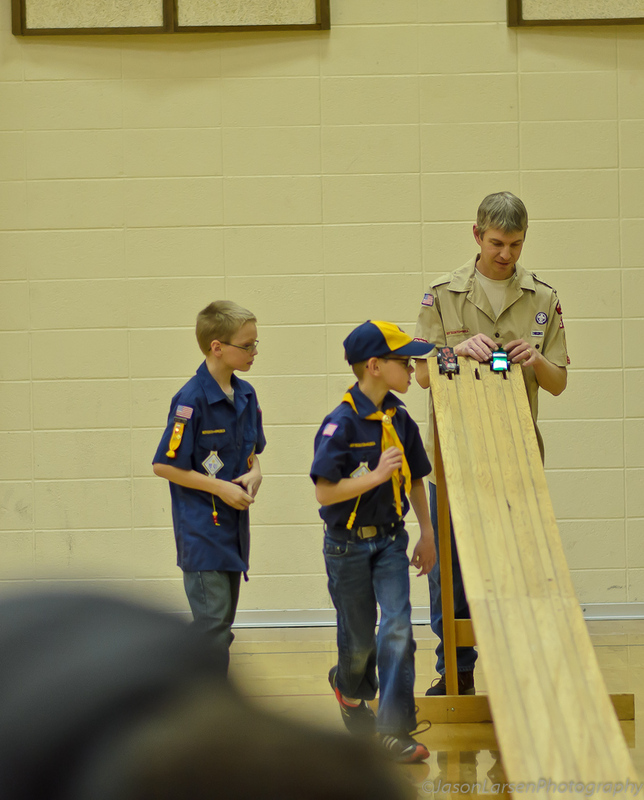 Tonight was the Pinewood Derby for Pack 58. 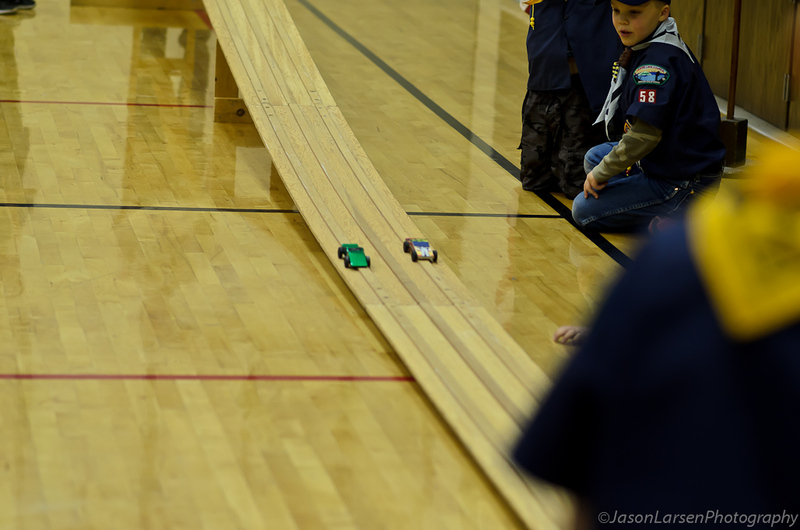 It was a great event with 12 cub scouts racing against each other and 11 siblings/parents racing in the rust bucket category. 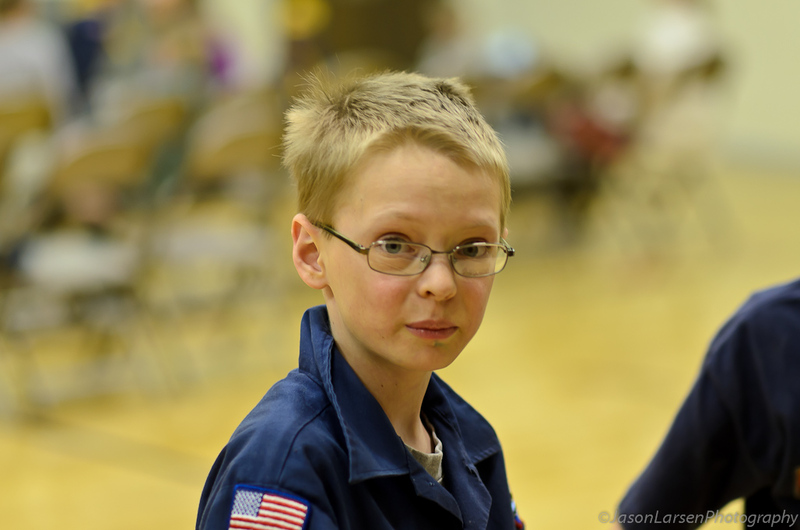 I was anxious to try out my new 85mm 1.8g lens so I took it to take the photos. 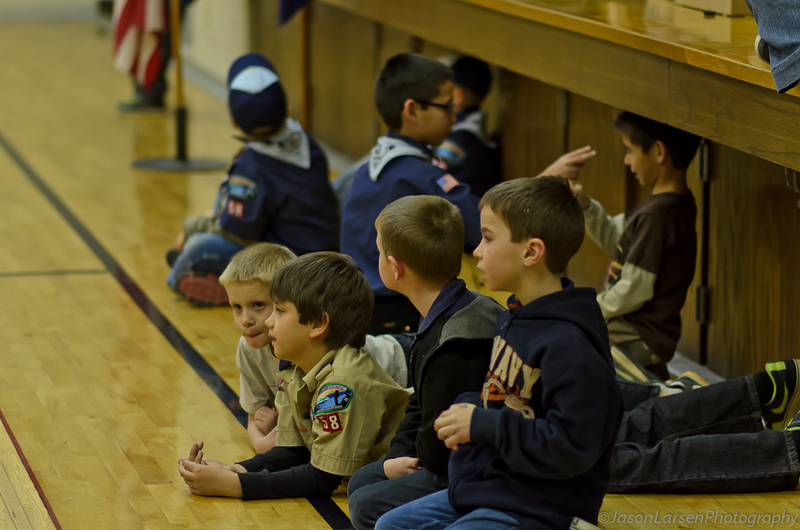 i wish in retrospect I would have brought the 24-120mm zoom for the ability to zoom in and out and also VR. 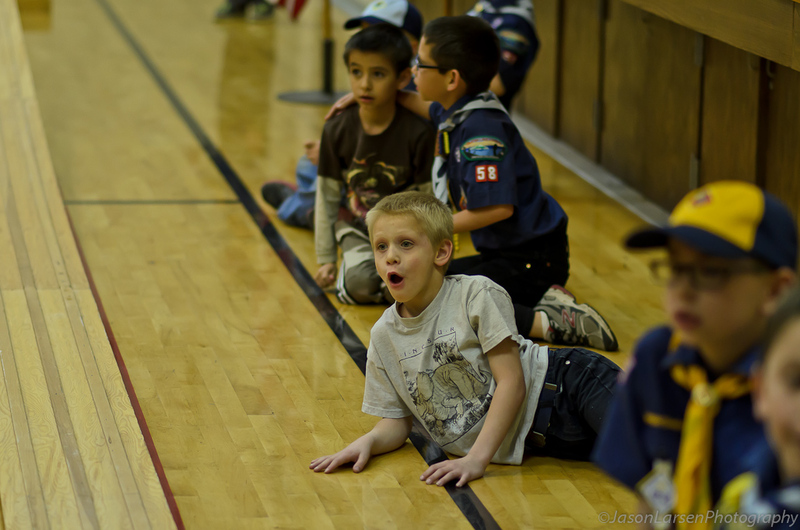 One thing that is hard in a gym that is not particularly well-lit is that at f 1.8 the focus plane is very thin. 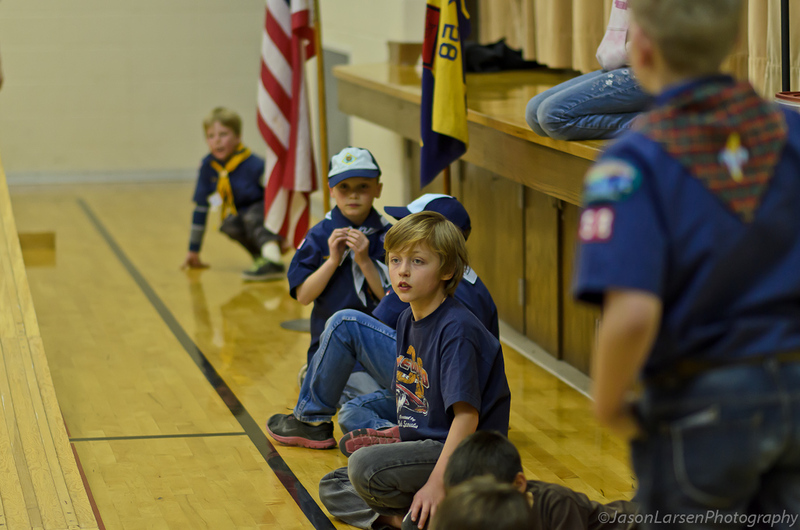 I had trouble with front and back focusing. 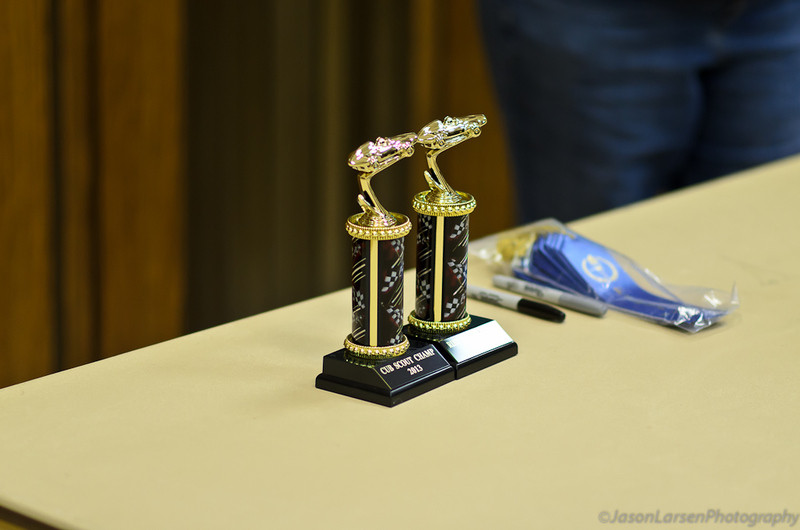 So I ramped up the iso to between 2000 and 3200 so I could get a smaller aperture like 5.6 and still have a shutter speed fast enough to stop the action. 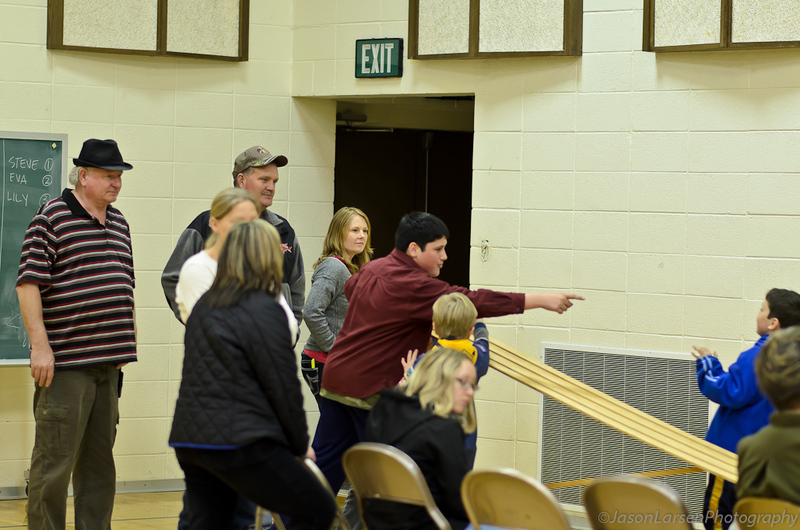 A note to parents: if you see a picture you would like a copy of let me know in the comments below which number and I’ll send you a copy.